and would I like to attend and review the restaurant? Of course without much thought except for a quick trip to the restaurant’s website http://www.seletpoivrenyc.com/ I was happy to agree. In this business there are many invitations to attend events so I had a good feeling this was not a setup for a kidnapping. I arrived at Sel Et Poivre fashionably late not on purpose but mainly because NYC Subways have a way of making you late to things even if you leave early enough to be on time. ​and my appetite was immediately sparked. I met with Susan the woman who had arranged this event at a table with 8 writers. 4 on each side leaving the head of the table the only option for seating. I smiled greeted everyone and humorously, chorted (Awkward) over the years I have reviewed many restaurants and either brought another staff writer along or a date. The idea of dining with 8 writers was new to me and actually kind of exciting. The combination of flavors inspired me to think more about what I am using when I am cooking at home. Bringing these simple ingredients together and arranging them in a delightful presentation brought a smile to my face not to mention the taste was exquisite. One of the writers mentioned that she did not like beets and loved this dish and that’s proof enough in the pudding so to speak for me. Next on the menu was Fish Soup - sounds simple enough right? But how often do you cook a meal at home and get that authentic restaurant taste? 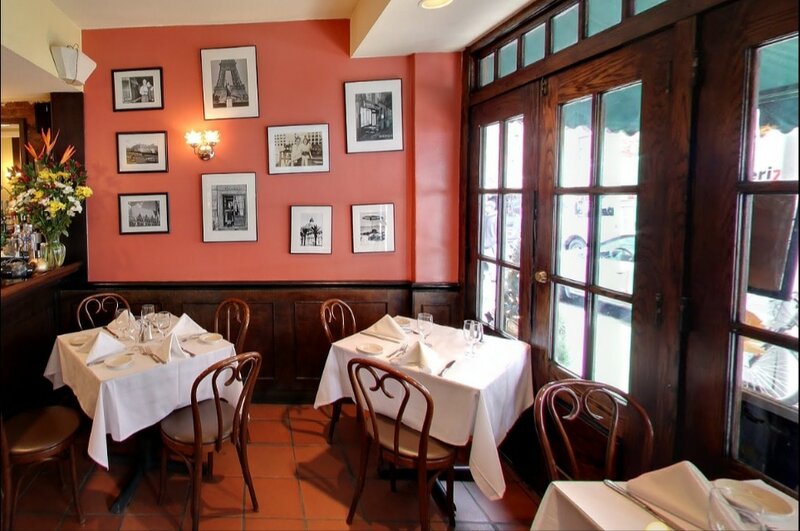 In this case French restaurant, It was served and then accompanied with a brief description by The owner Pamela who along with her husband Chef Christian Schienle have continued a 25 year tradition of Fine French Bistro Cuisine. The soup was served with a plate of roue, baguette slices and shredded swiss and with the help and advice of Pamela we all created tiny boats of the bread and cheese and floated them in the broth - fun! adding to the incredible smoky flavor. I have also come to see that food writers are not wimpy geeks both the men and women at this table displayed a robust zesty approach to the food that was being served. And that made me feel right at home. I liked the Trout it was cooked to perfection and had the perfect flaky buttery texture and flavor that I like in a good fish dish - note to self try this at home but don’t expect it to taste like this. Are all food writers good looking? Well they were at this table and hey it just added to my visual. New Zealand Rack Of Lamb: so tender it almost fell off the delicate bone and melted right in my mouth, also my favorite so far and that’s hard to say with each dish being better than the last. Profiteroles and Tarte Aux Fruit; Just the perfect dessert and ending to this delightful experience. 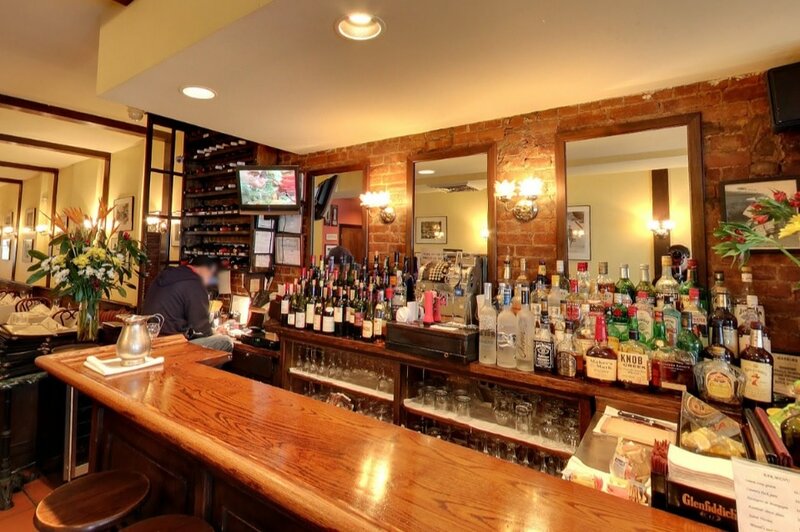 The restaurant is available for private parties, special wine dinners, catering or other festivities. For more information please ask for Christian.